Time for a Giveaway - yay! 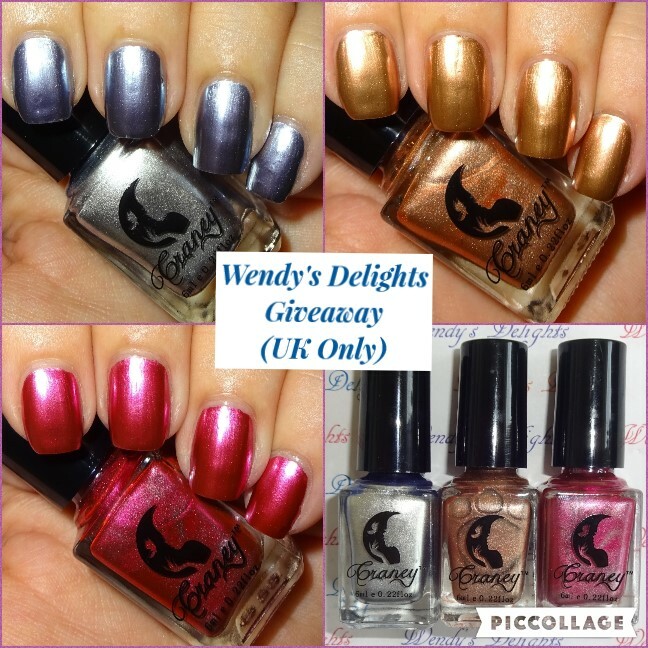 I recently reviewed 3 wonderful metallic nail polishes from Beauty Bigbang and I'm offering you the chance to win them. I have swatched them on one hand so be aware that they have been used once. The 3 shades are blue, pink and bronze and all come with a base coat. 6ml bottles.